Kathryn Bernardo and Alden Richards are in Hong Kong to shoot their movie. Star Cinema has officially released the title of Kathryn Bernardo and Alden Richards' upcoming movie, which will be "Hello, Love, Goodbye." 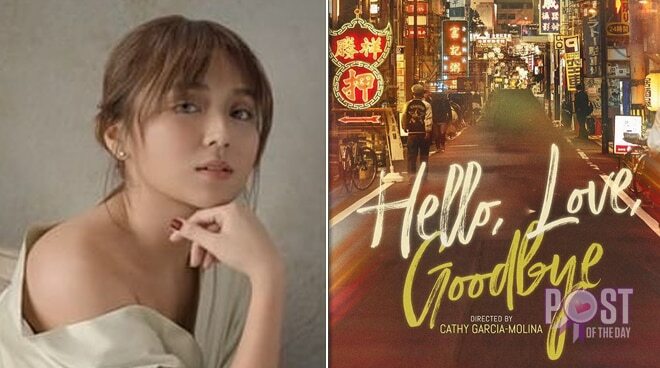 Cathy Garcia-Molina, the director of the movie, last worked with Kathryn in the box-office hit The Hows of Us, which also starred Daniel Padilla. Kathryn and Alden flew to Hong Kong over the weekend to shoot some scenes.